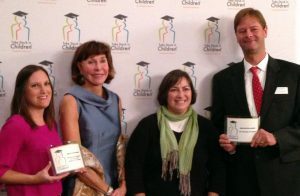 Take Stock in Children awards – Champions For Learning, Ashley Bowers, Barbara Uible, Lisa Church – The Immokalee Foundation, Steven Kissinger. The Immokalee Foundation and Champions For Learning, Collier County’s affiliates in the Take Stock in Children program, have each been recognized with the Gold Level of Excellence Award for the sixth consecutive year, as well as the nonprofit scholarship program’s Innovation Award. Both organizations were recognized at the annual Take Stock in Children Leadership Summit & Day at the Capitol. 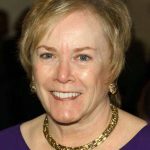 “We are so proud that we are collaborating and sharing best practices between our organizations to ensure that the students who are part of the Take Stock in Children program in Collier County have the best possible experience and outcomes for their future,” said Susan McManus, president of Champions For Learning. The Gold Level of Excellence is reserved for the local affiliates of the statewide organization that meet high marks on its Balanced Scorecard indicators. These include student recruitment, mentor pairing, timely advocacy, two-year action plan, student growth, increased GPA and EDGAR self-certification – which indicates compliance with federal education funding guidelines. The Balanced Scorecard provides a uniform way for Take Stock in Children to assess performance of all affiliates through the same lens, and to manage their performance through action and improvement plans. The Innovation Award recognizes consistent innovation and expansion of support to students and families. Take Stock in Children was established in 1995 and operates in every county in Florida. 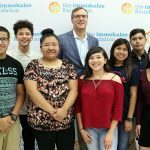 In Collier County, the students in Immokalee are part of the program through The Immokalee Foundation. 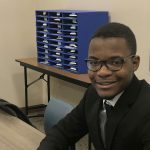 Other students across Collier County are served through Champions For Learning, to help low-income, academically qualified students escape the cycle of poverty through education. 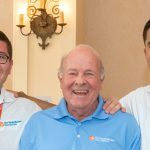 Through both organizations, all Collier County students have access to the high-quality program that offers college scholarships to students, provides caring volunteer mentors, and instills hope for a better life. Take Stock’s comprehensive programs begin in middle school, continue through high school and include the transition to college or vocational education. 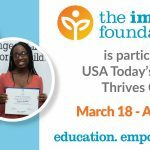 The Immokalee Foundation provides a range of education programs that focus on building pathways to professional careers through college and post-secondary preparation and support, mentoring and tutoring, opportunities for broadening experiences, and life skills development leading to economic independence. To learn more about The Immokalee Foundation, call 239-430-9122 or visit www.immokaleefoundation.org. Champions For Learning, the education foundation in Collier County is an independent, community-based, non-profit 501(c)(3) organization that makes it possible for our community to impact lives by enriching the environment for student learning through educators and directly with students. The organization has been awarded a four star rating for sound fiscal management and commitment to accountability and transparency by Charity Navigator. The Education Foundation of Collier County (Champions For Learning) has been ranked among one of the top 25 education foundations in a national study. Become a Champion for Learning and visit www.ChampionsForLearning.org.